Markets: Retail, Finance, Energy and Telecommunications. Franz Beranek was a normal guy running a data centre filled with BS2000 systems, each needing his personal attention. The task was mundane and repetitive which sparked a vision for Franz. He imagined a programme that would run these repetitive tasks, allowing him to make more productive use of his time. This was the birth of the business automation tool. Changes to the technology landscape saw Franz and his team rewrite the automation product creating the first full business automation platform of its kind. In 1997 Franz commissioned the “UC4 – Universal Control, 4 x better” brand. By 2003 UC4 had secured its first $1m deal and created a technology hub in New York manned by Dave Kellermans and Guenther Flamm. By 2007 UC4 and AppWorx (who created an automated ERP application) merged forming from a true business winner. Thanks to a new partnership with Senactive, UC4 software would be able to predict the future. Predictive analytics in automation were completely unprecedented in IT. Now in 2013, UC4 has been rebranded as Automic, looking and sounding completely different. Not acting as just a software vendor, Automic are a partner in transforming clients’ businesses. The automation software is the most powerful product of its kind in the world. Automating every process of day-to-day operation, no matter how complex. On-site, in the cloud and hybrid, seamlessly. 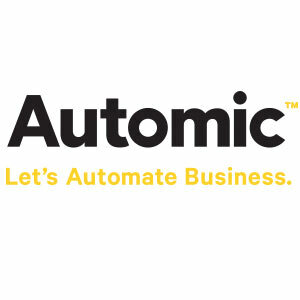 Automic ONE Automation 2013 to address all automation needs across business, application and infrastructure processes. Automic is automating some of the largest financial institutes across the globe. From automating market data to providing consistent application deployments we have over 300 customers in the Fortune 500 and are the driving power behind some of the largest enterprises on the stock exchange.